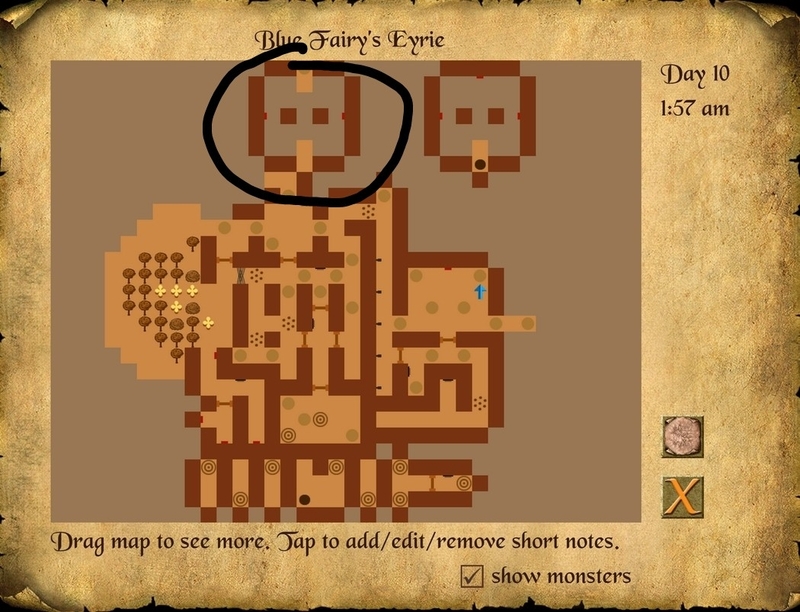 I already explore blue fairy ayrie and killed the fairy, how can i get permission? How can i open this area? The Blue Fairy is in that area and to talk to her about Permission, you need the quest to Gather Flowers: For the Wise Woman of Foggy Islands, gather 10 each of Red Madder, Yellow Weld and Blue Woad flowers. You also need Outfit points greater than 25 and Persuade of at least 30. It looks like you've already been there. When you climb up the ladder to the Blue Fairy's Domain, if you have the Fairy Wings cape, you can reach that area. It's on the shelf in the room of the Fairy Queen. I think you killed her. I think i lost fairy wings cape, is that other way to get it? Or phredd does have it? I read your review on redshift web, where i can find needlenose tailor on map? I do that with a lot of items because people are often losing things. This way if the item is sellable, they can get it again. It means Elendil doesn't have to do so many updates to give an item to Phredd to sell because someone lost the item. Needlenose the Tailor is in Humbria Castle. You might have to camp out to get it. Or sleep in an inn a few days. Just mark at Needlenose and sleep until it appears in his inventory. Great, just one more expansion on android to play, is that ok if i played celtic queen as new character for variation? There's no problem as long as you can handle the monsters. : ) Congratulations on getting that far. There is some gear at the beginning that might help you. She won't give you that quest unless you have the quest from Lady Aldmage to Bring dyes--For Lady Aldmage, Aldmage's Keep, bring her a chest of dyes from the Wise Woman of Foggy Island. 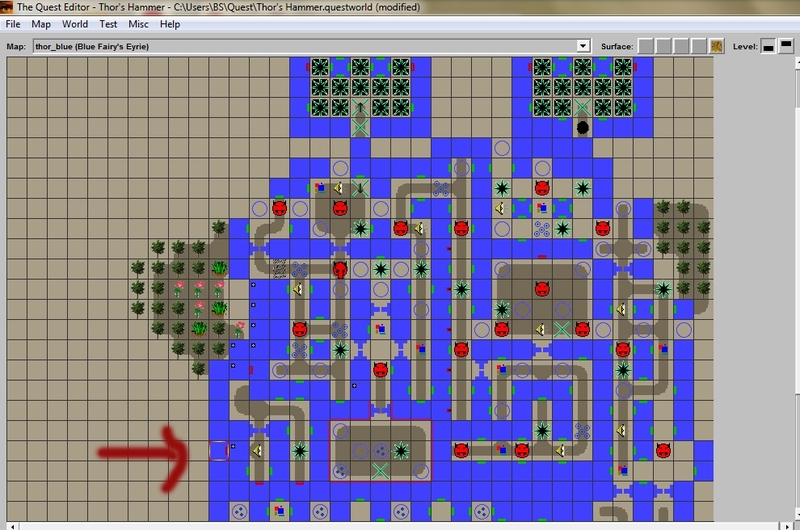 I know I am behind the times, but I am stuck in the Fairy realm and can't seam to open up the rest of the areas. I have main area open, two gardens (one either side), but 2 rooms to the north and the top left room near the garden and the top right room near that garden I can't open. See if this map helps you. It shows two hidden shelves. The top left room near the garden can be opened by lockpick if you have one and your skill is at least 70. On my pc I have the Fairy Queen I can go to talk to anytime now, but last night I opened up the walkway to the garden on my phone (android) and there she was as an enemy. Now she is dead. I already had the Bring Dies and Gather Flowers quests done. So I don't need the permission anymore to enter the Fairy Circle I guess. St. Aiden's Cross (Shield), I had it somewhere, I think on my phone but I don't remember where I got it. ??? Clue? Please? You probably killed the Evil Fairy. St. Aiden's Cross is on a shelf in Lord Gorum's Keep. Thor's Hammer (the Roar of Thor) is in Jotunheim. Yes in one version she is dead and in another she is not lol. Playing two separate devices can get confusing. I typed up the quest list and printed so I have it on a clipboard next to me lol, 1 column for checking it off for PC and one for phone.